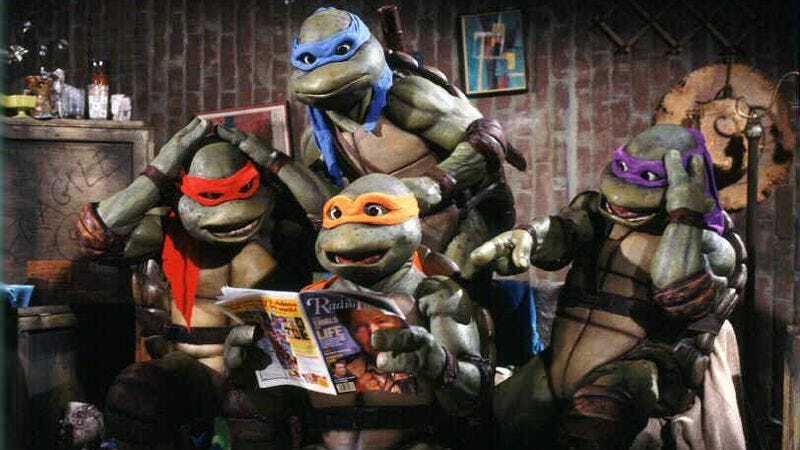 After some careful consideration atop their thinking trampolines, Paramount executives have made the difficult decision to push the Teenage Mutant Ninja Turtles reboot by an extra two months to Aug. 8, 2014, in what is the first bit of negative buzz to emerge around the film that does not have anything to do with story, casting, or its mere existence. The delay was prompted by a desire to fine-tune the film in response to these pessimistic early reports, and a commitment to making it the most faithful iteration yet of the fiercely protected franchise and ensure it doesn't feel like yet another cheap cash-in on childhood nostalgia, but rather an organic and vibrant rebirth of a beloved intellectual property. Just kidding: It was moved because otherwise it would have premiered against another Michael Bay toy movie, Transformers 4, as Deadline notes that “both of these have involved campaigns and a big merchandising component, and it was thought the studio would be better off spacing the two toy-tied films further apart.” This delay will now give audiences several extra weeks within which to buy their children Transformers, watch them become bored with them and toss them straight into the garbage, then repeat the process with Turtles toys, thus fulfilling each movie’s entire reason for being. Of course, it also places Turtles squarely against Marvel’s Guardians Of The Galaxy, which opens the week before. But that movie isn’t based on toys, so is it even a real movie?